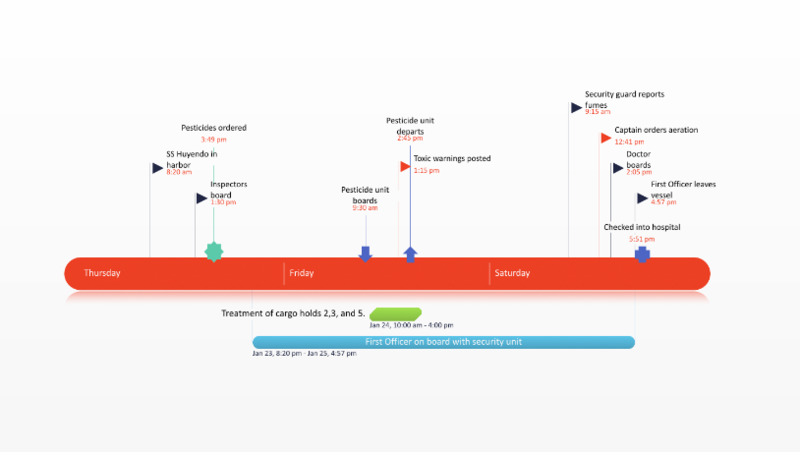 Use the milestone chart template as a simpler way to illustrate, schedule and report your project. A milestone chart will provide a snapshot of your project for important presentations and communications with management or customers. It is a downloadable PowerPoint template so you can use the familiar application to easily change the milestone chart for any purpose. 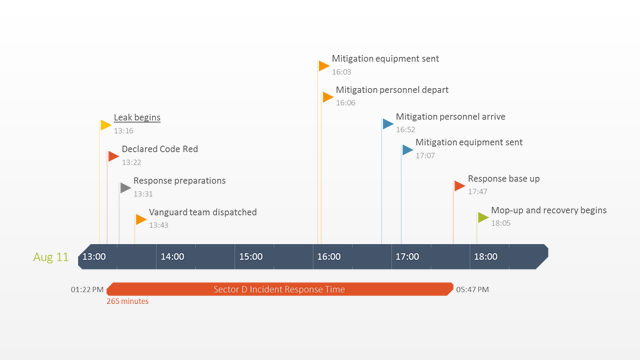 Milestone charts can be used to illustrate the key events, objectives and targets of any project or plan. This makes the milestone template an excellent tool for planning projects or managing programs where visualizing the key components need to be displayed in chronological order on a time schedule. The free milestone chart should be used for top level reviews. It was made for reporting to management and clients, or any audiences who should not be overwhelmed with the detailed minutia of the plan or project. Since milestone charts provide a summary view of a project, they are easier to communicate than other complicated project charts made from long lists of tasks. 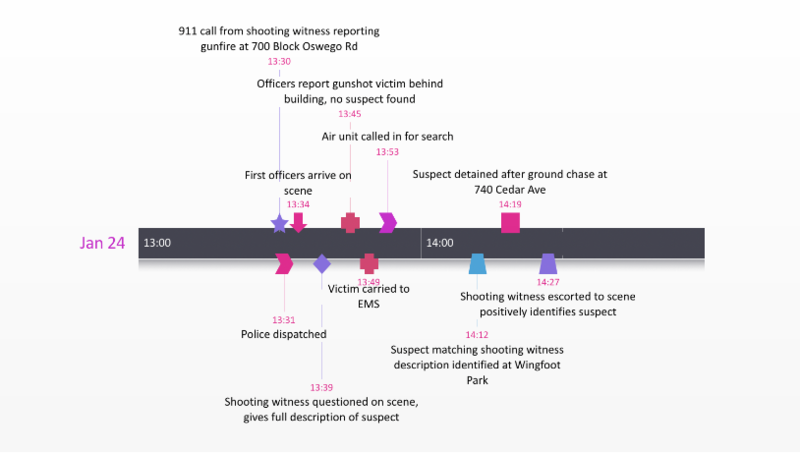 Milestone charts are also excellent planning tools because they show key events on a timeline culminating in the completion of the plan. Planners can use the free milestone chart template to visualize the sequence of events they need to achieve, from which they can build more comprehensive plans for achieving each milestone. 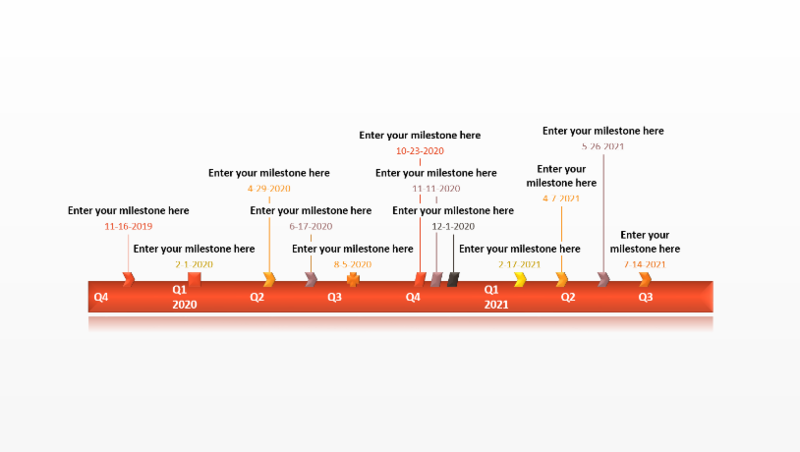 The timeline can be updated with your own milestones by manually adding them to the template with PowerPoint. 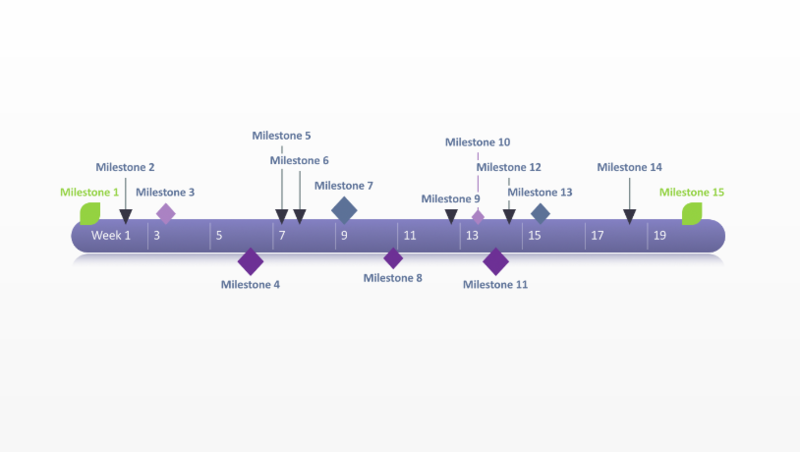 The milestone chart template was created with the free milestone maker from Office Timeline. Office Timeline is a free plug-in for PowerPoint users. It will automatically update this template with your milestones and it can add tasks if you need to show them. The Office Timeline add-in will quickly edit the styles, shapes, colors and design of any of the objects on the milestone chart.